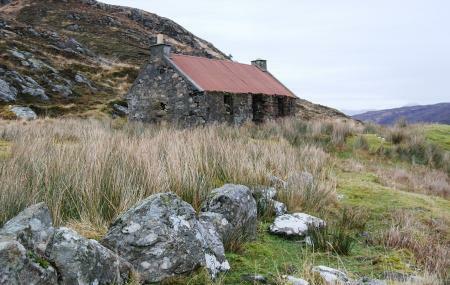 Cross the small hills on the outskirts of Sleat and you will reach at CoilleDalavil, a small lakeside near the forests. A picturesque and surreal place of Sleat, it is ideal for casually sitting and enjoying doing nothing or to have a fun day-outing with friends and family. Majestic hills, clear water, vast endless sky; altogether make this place even more heavenly and enchanting. On the other side of the lake, there is a series of Rocky Mountains which gives a tantalizing view of the whole of Sleat and nearby villages. Not wheelchair and stroller accessible. Take a long idyllic walk along the lakeside. Hire a taxi or rent a car. Can be reached by walk. Love this? Explore the entire list of places to visit in Sleat before you plan your trip. Fancy a good night's sleep after a tiring day? Check out where to stay in Sleat and book an accommodation of your choice. How popular is Coille Dalavil? People normally club together Rubhaphoil Forest Gardens and Camas Daraich while planning their visit to Coille Dalavil.